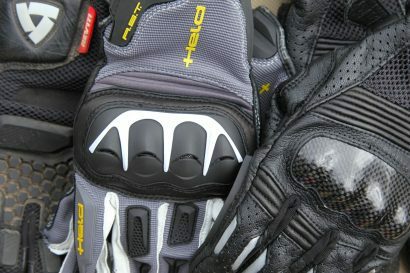 With summer behind us, we take a look at our three favorite gloves for warm weather riding. 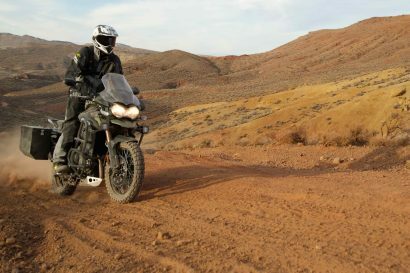 We took Revit’s Sand II riding suit to the ultimate proving grounds to see how it measured up. 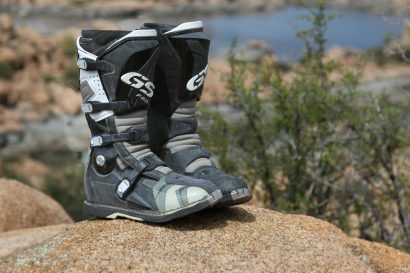 It may not have been a smart idea to take brand new boots on a 2,000 mile trip into remote Baja, but it did yield great insight. 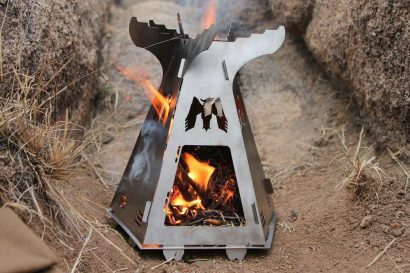 A lightweight and compact stove for your 4×4, motorcycle, and even bicycle needs. 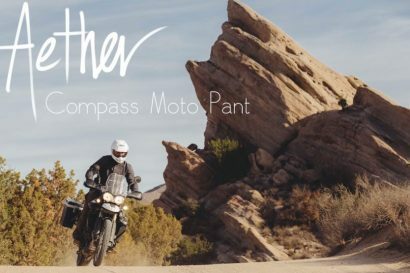 Testing Aether’s new Compass Motorcycle Pant in California’s Death Valley. 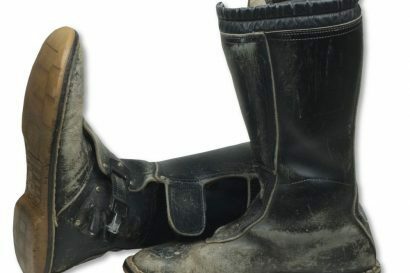 A broken foot was reason enough for Scott Brady to investigate improved protection. 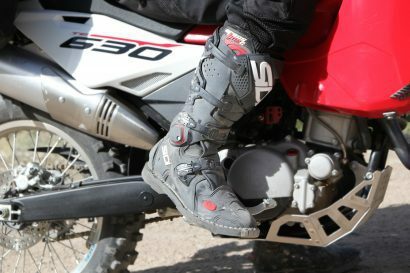 His solution, the Sidi Crossfire II. 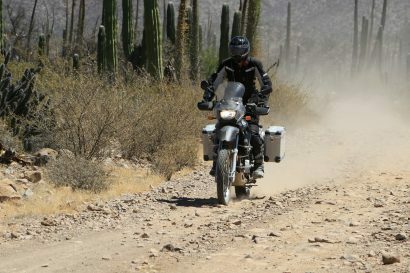 We delve into the dos and don’ts of adventure motorcycle preparation. 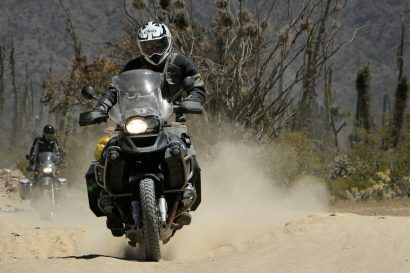 We took Arai’s flagship DS helmet to Baja’s backcountry to see if it really is the king of adventure helmets. There’s not too many things that can ruin a long distance ride like a serious ache in the rear. Making sure you have the right seat is more critics than you think. 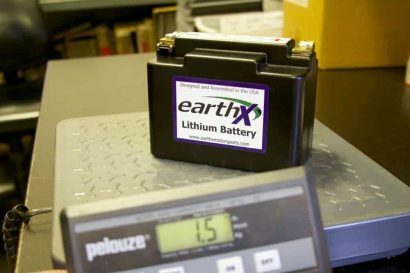 Longer life, less weight, and no maintenance, makes the EarthX Lithium battery a tough offer to refuse. Within the pantheon of great adventure boots, none are as storied as the Combat Touring boot from Aerostich, a true motoring legend. For those of use who wander into the unknown on our own. 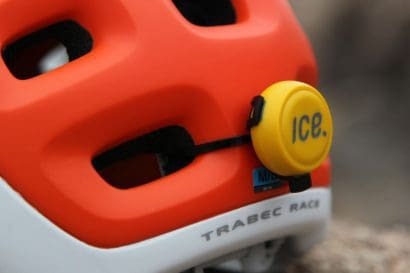 An emergency messenger that can call for help, even when we can’t. 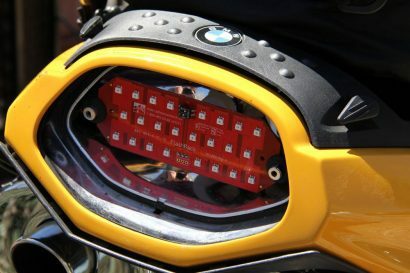 The LED wizards at Adventure Tech have created a tail lamp solution sure to save lives, or at the very least, provide comforting piece of mind. 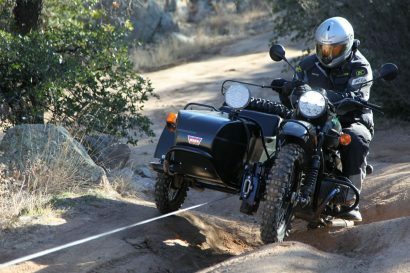 Despite its immense capability and tank-like build, the Ural Gear Up is not without limitation. The next time you find yourself up a certain creek without a paddle you’ll be wishing you had one of these. It almost seems like a disservice to call these jeans. 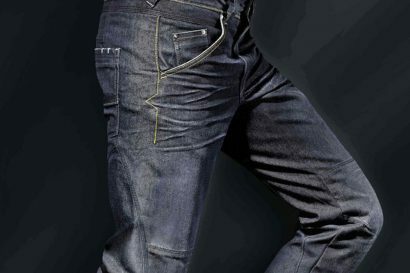 They’re every bit as sophisticated as any highly engineered riding pants I have, but they appear to be normal jeans, and very nice ones at that. 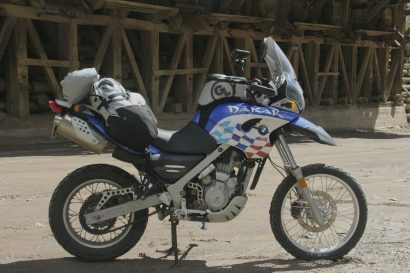 Affordable, capable, and as reliable as hammer, the KLR’s are excellent platforms. 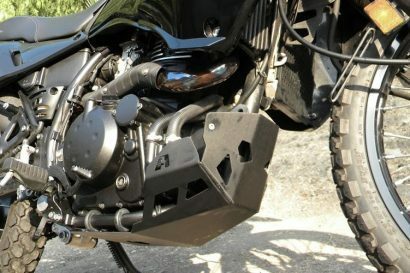 They do however, benefit from a few key modifications like AltRider’s new KLR Skid Plate. If you’re looking for a seat that’s comfortable, stylish, and good on the trail, you’ll need to check out this seat. 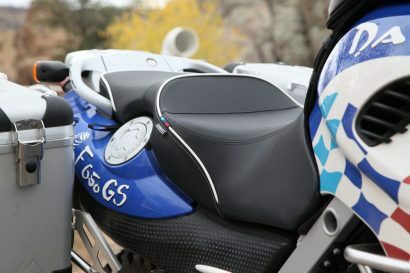 Getting soft luggage that fits your bike properly can be a bit tricky. Getting soft luggage that fits and will actually hold up can be downright impossible. Let us save you the trouble with the Giant Loop Luggage. 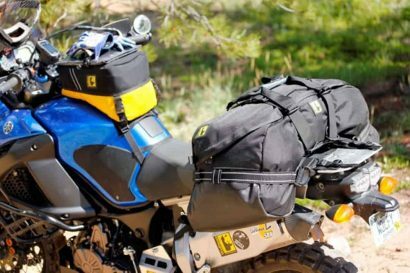 More capacity, more stability, more versatility, and same great looks make this Wolfman bag an attractive luggage option. 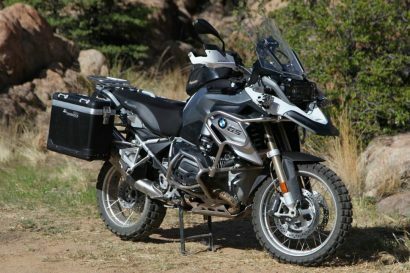 If you’re going to ride a motorcycle, you might as well ride in some great looking gear that could probably survive the end of the world; or at least a ride around it.